The US decision to withdraw from UNESCO marks the first time the State Department has lined up with Congressional elements funded by the pro-Israel lobby and reflects the weakness of the Trump administration, says author and journalist Max Blumenthal. The US announced Thursday it is withdrawing from UNESCO. According to the State Department, the main reasons are concerns over mounting arrears at UNESCO, the need for fundamental reform within the organization, and UNESCO's alleged anti-Israel bias. Shortly after that, Israeli Prime Minister Benjamin Netanyahu also ordered his country withdraw from UNESCO. He hailed the US move as a brave and moral decision, saying UNESCO has become "a theater of the absurd." Netanyahu also claimed that instead of preserving history the organization distorts it. In October last year, Israel suspended co-operation with UNESCO, after the body adopted a resolution on the Temple Mount (known to Muslims as the Haram esh-Sharif) and the Western Wall in Jerusalem, ignoring any Jewish connection. The UN cultural agency said the places should be referred to only by their Arabic names. The document also criticized Israel's policies at holy sites in Jerusalem and the West Bank. RT: Is there anything to the timing of this latest announcement? Why leave UNESCO now? Max Blumenthal: I think one reason is simply the Trump administration and its UN Ambassador Nikki Haley, who has kind of rented space in her mind to neoconservative and pro-Israel elements in Washington. This is someone who has the foreign policy experience of having gone to the International House of Pancakes several times as governor of South Carolina. Essentially the neoconservatives are running the show at the UN for the US. This goes back all the way to 2011. Congress withheld funding for UNESCO because UNESCO allowed the Palestinian Authority membership. And Congress is very, very easily influenced by the pro-Israeli lobby, whereas traditionally the State Department and the US mission at the UN have not been. So this is the first time we've really seen the State Department get in line with the Congressional elements that are funded by the pro-Israel lobby, and easily influenced by them. I think this really reflects the weakness of the Trump administration. RT: Why is Israel is so important to Washington? How is it that Israel has so much influence on US politics? MB: It relates to the pro-Israel lobby and not anything Israel brings to the table in terms of advancing American interests in the Middle East. If we listen to former Secretary of State [James] Baker, Israel is linked to a massive ongoing process of radicalization across the Middle East that hurts US interests. Even former CENTCOM commander David Petraeus said that. So in this case with Israel leaving UNESCO, it is the rare instance, where the tail is choreographing its movements with the dog. But the tail has been wagging the dog for decades. As Ali Abunimah put it at The Electronic Intifada, this reflects Trump’s America first agenda exposing itself as an Israel first agenda. Israel is really setting the agenda here for Trump, and Trump is falling into line. RT: Is there a genuine grievance here? If there is, why is it only the US and Israel who are taking action? MB: The Israeli grievance is that UNESCO is honoring international law. UNESCO designated East Jerusalem as an occupied area, and that comports completely with international law. Resolution 244 at the UN declared that East Jerusalem is occupied. UNESCO declared Hebron a part of Palestine. Hebron is located deep in the occupied West Bank, which is Palestinian territory. 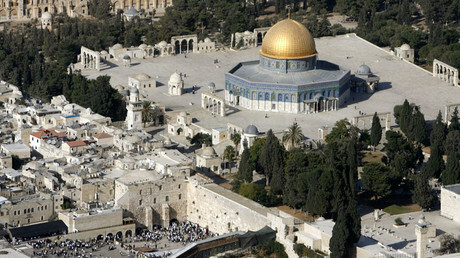 UNESCO also declared the Al-Aqsa Mosque a world heritage site under threat by radical settler elements in Israel, who seek to replace it with a third Jewish temple. All of these are in line with international law, which Israel seeks to violate. So what we see here with the US grievances is a grievance against international agreements. And the US endorsing it, falling into line with Israel, and just raises an interesting question: “When have we ever seen the US attack the UN for anti-France or anti-British, or anti-German biases?” Only in the case of Israel where the US behaves in this manner. RT: The US State Department has dodged the question of whether or not the US will pay its $550 million debt to UNESCO? Will they pay? MB: The State Department was supposed to find a way of delivering that money over Congress’ objections. We’ve seen Congress vote and authorize resolutions to withhold money from the Palestinian Authority. But in this case – with the State Department leaving UNESCO – it appears the money will never arrive. This is consistent with an overall pattern of the Trump administration – simply breaking international agreements and sending the message to the world – particularly in the case of the Iran deal – that the US does not honor its words. “We can’t really understand Israel’s place in international affairs without understanding the US’s backing of Israel. They’ve given a $38 billion aid package to Israel – the largest package of its kind in US history,” he told RT. 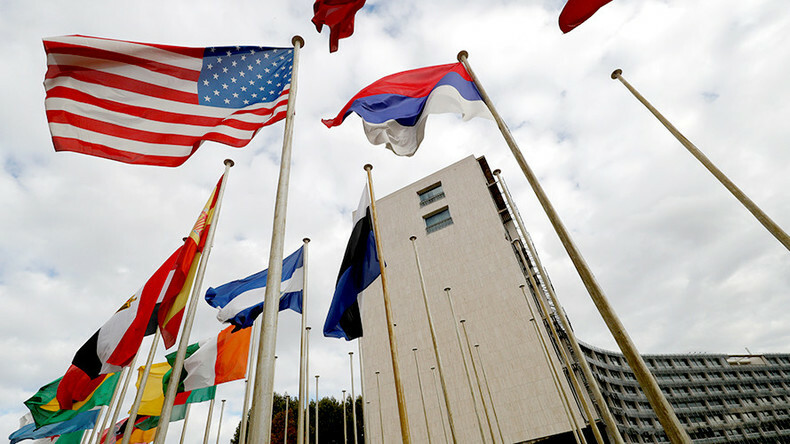 Shaw says he “highly doubts” the US will pay its debt to UNESCO. “We see that Trump’s priority is nuclear warfare. He announced that he wants to increase the US’s nuclear arsenal by ten,” he added. “What we’ve seen in Palestine for the past 100 years: murder, displacement, systematic campaign of ethnic cleansing and genocide, and it is not an exaggeration… It is inexplicable; there is no justification. Palestine like all people deserves its own flag and its own homeland. 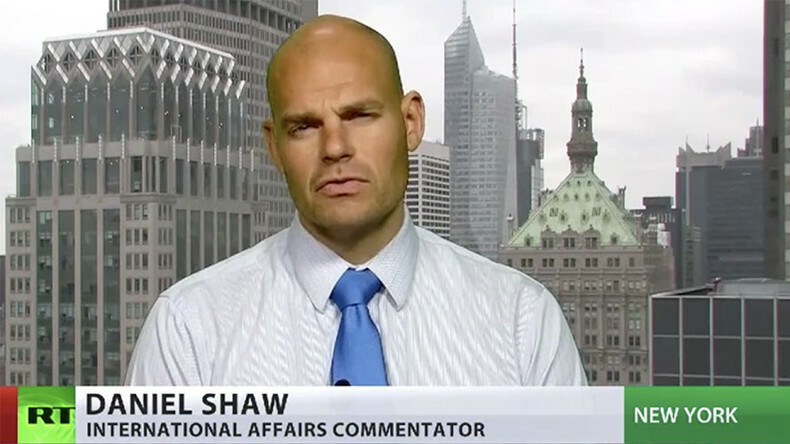 What there is in Washington and across this country – is an anti-Palestinian bias, not an anti-Israeli bias,” Shaw added.